Are you saving the right amounts in the right places? 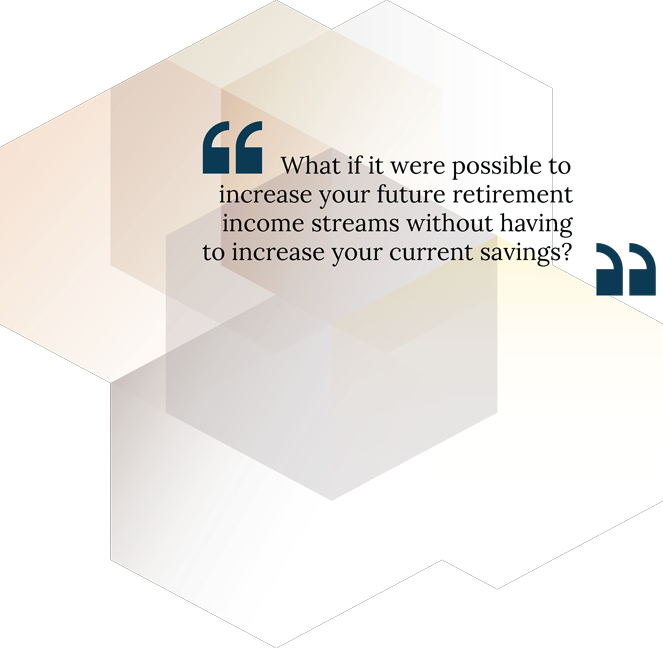 Wouldn’t it be great if you could save for your children’s education (or some other major life expense), without having to sacrifice saving for retirement? What if we told you that it is indeed possible to save smarter, rather than harder? One of the most impactful features of our work is that we can affect your wealth building, even if you choose not to increase your savings rate. There is no magic to it. We believe in data-driven, strategic decision-making. All we do is look at where and how you are saving, and show you how hard your money is working for you currently. Our job is to find ways to get multiple benefits from every dollar. And no, we absolutely do not chase returns –ours is precisely the opposite approach. Our wealth building strategies take into account seemingly conflicting goals – such as college funding and retirement, as well as factors that are outside of your control, such as inflation and taxes. Contact us today to discuss how we might impact your wealth building scenario.